Today is the official release of the FIRST LEGO League 2015 Challenge (“Trash Trek”), and we’re all looking forward to another exciting season! If you’re a new coach or a rookie team, we welcome you. We know you probably have a lot of questions and uncertainty about FLL, and we’re glad to help wherever we can. In previous years, our team maintained a resources page with information about North Texas FLL events. This year we’re moving our resources to roboplex.org/fll , and we encourage all visitors to join us there. Be sure to also join the North Texas FLL Google Group, as there are often many helpful announcements and discussions taking place there, and it’s an excellent place to ask questions. 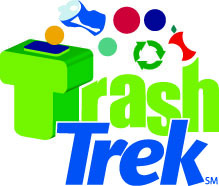 Have a great Trash Trek season! This entry was posted in northtexasfll on 2015/08/25 by pmichaud.